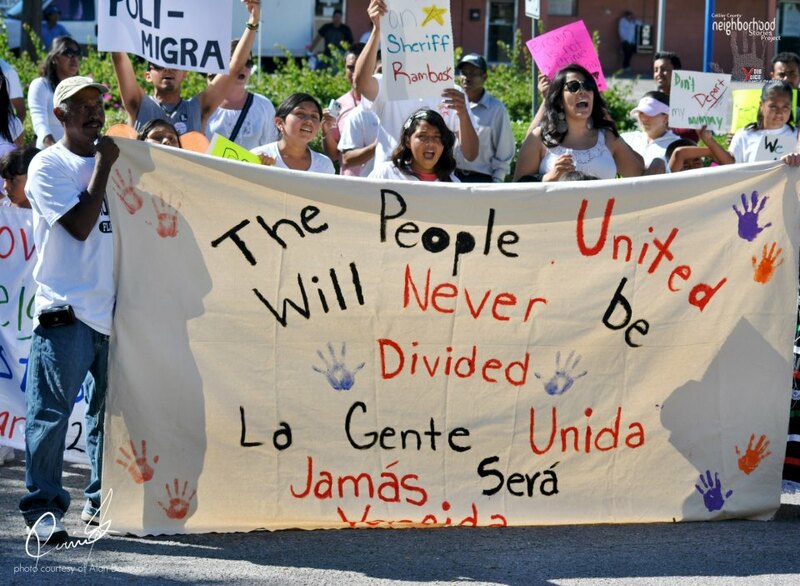 Home > Archive by category "detention"
Immigration activists and Southwest Broward residents continue to voice their opposition to the possibility of building one of the nation’s largest immigration detention center to Southwest Ranches. The hot bed issue of immigration now finds itself front-and-center in the 13-square mile suburb of Southwest Ranches. Plans to build one of the nation’s largest immigration detention centers in the rustic Southwest Broward county town has riled up residents and activists alike. An overflow crowd of some 70 people showed up at Thursday’s Southwest Ranches Town Council meeting to raise their concerns about the plan to build an 1,800 bed facility along U.S. 27. Residents of Southwest Ranches and neighboring Pembroke Pines and Weston who spoke at the meeting were split on the need for the facility. For those clinging to the the rural-like feel of the area where horse trails wind through communities of multimillion dollar homes, the detention facility represents a “security threat” which they fear will bring down property values. “I moved out here because I thought I would be right up against the Everglades, not a prison,” said Betsy Blume, a Pembroke Pines resident who spoke at the meeting. Still, some long time residents spoke in favor of the project noting it could bring an economic boost to the town’s coffers. For immigration activists, green-lighting the facility brings concerns that the federal government is prioritizing the expansion of the country’s detention and deportation programs, and not on passing immigration reform laws that would legalize the status of undocumented immigrants. “This is a costly and inefficient way of dealing with the situation of immigration,” said Kathy Bird, organizer for the Florida Immigrant Coalition. The group presented a petition with more 150 signatures to the the town to reconsider its involvement in the project. In June, U.S. Immigration and Customs Enforcement (ICE) officials announced that they had entered into negotiations with Southwest Ranches to build the facility on a 24-acre stretch of land. Though negotiations still continue, and no deal has been finalized, the town was initially competing against Florida City in Miami-Dade and Belle Glade in Palm Beach, for the right to negotiate. With room for 1,800 beds, the center would be one of the U.S.’s largest immigration holding quarters. The Krome Service Processing Center in South Dade holds 581 beds and the Broward Transitional Center in Pompano Beach has the capacity for 700 detainees. The center would be run by the Corrections Corporation of America, a private corrections management service, that currently owns the land where the ICE is eying in Southwest Ranches, an area west of Southwest 196th Avenue between Sheridan Street and Stirling Road. Several of the town’s long time residents noted that its too late to designate the property for any other project, because the land was sold to CCE and zoned to be a correctional facility by Broward county, long before Southwest Ranches incorporated in 2000. Southwest Ranches stands to benefit financially from having the facility within its borders. In 2005, the town inked a deal with CCA that offered the town a percentage of money per detainee held at the facility. However, to enter into the deal Southwest Ranches also has to commit $150,000 of town money annually once the facility is built. “The town should not be in the business of profitting off of suffering and the separation of families,” said Bird. Thursday’s meeting, came on the heels of a July 16 rally at Sawgrass Community Church that drew more than 150 locals opposed to the project. Residents from neighboring Pembroke Pines and Weston have also expressed concerns about the project’s proximity to their homes. ICE officials say its too soon to comment on the facility’s impact on the community, because negotiations with the town are still ongoing.